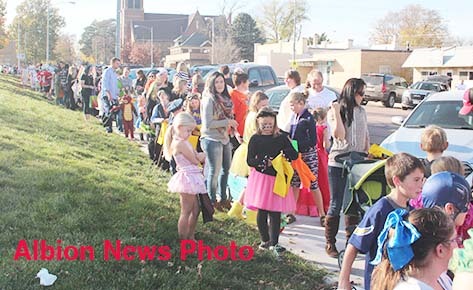 Children line up for the Halloween Parade along the north side of the courthouse square. 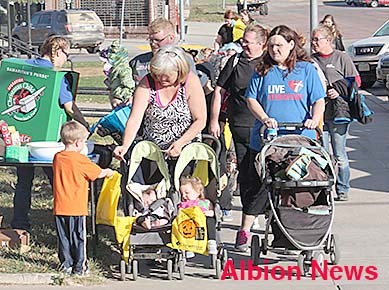 More than 450 area children took part in the annual Halloween Parade in downtown Albion under sunny skies Monday afernoon, Oct. 31. There were plenty of princesses and super heroes, along with the usual complement of ghosts and goblins. 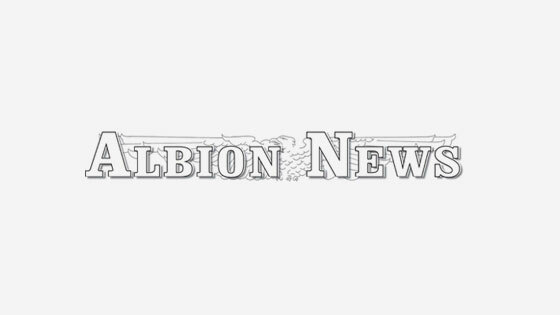 The Halloween Parade is a popular downtown event sponsored every year on Halloween by the Albion Chamber of Commerce and member businesses. 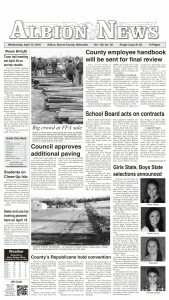 The children and parents filled their buckets at businesses along a seven-block route of downtown. More photos in the Nov. 2 Albion News Print and E-editions. All ages made the annual Halloween trek through downtown Albion.